Yes I Can: An Inspiring Video! 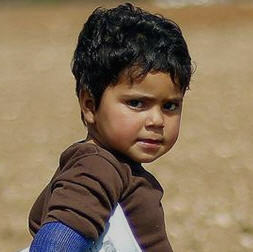 Many thousands of children have lost arms and/or legs as a result of the conflict in Syria. Palmyra Relief is helping them get prosthetic limbs. We want every injured Syrian child to be able to say “Yes, I Can!” After you’ve watched this amazing video, please help us help the children by making a donation to Palmyra Relief. This entry was posted in Amputees, Syrian Children, Videos and tagged paralympians, paralympics, Rio Paralympics, Yes I Can on November 15, 2016 by palmyrarelief.